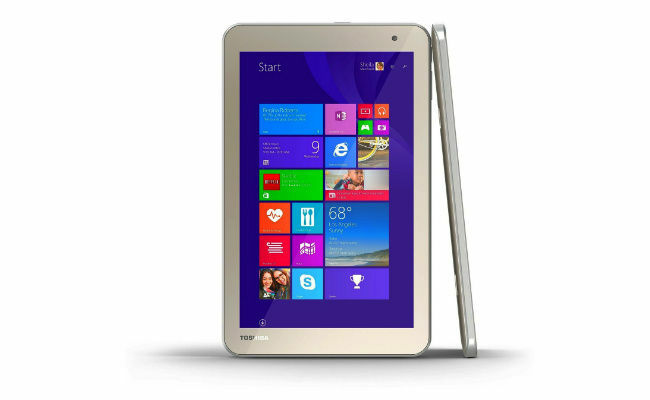 Toshiba joins the budget Windows tablet segment with its WT-8, 8-inch Windows tablet. The Japanese company has partnered with e-commerce site Amazon to exclusively sell the WT-8. The tablet is priced at Rs. 15,490. 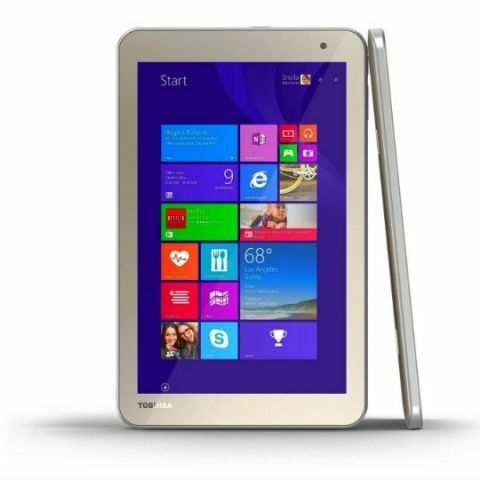 The 8-inch Windows tablet is powered by an Intel Atom Z3735G quad-core processor clocked at 1.33GHz. The tablet has 1GB of RAM and comes with 32GB of internal storage which can be expanded via microSD cards up to 128GB. Toshiba uses an 8-inch 10-point multi-touch display which has a resolution of 1280 x 800 pixels. The Windows 8.1 powered tablet has a 5MP rear camera and a 1.2MP front-facing camera. Toshiba has also included a year subscription of Office 365. The tablet will be going against tablets from iBall, Notion Ink and Dell in its category.